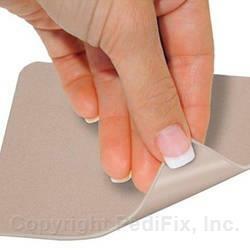 These medical-grade Silicone sheets soften and smooth scar tissue to make scars less noticeable. Color, texture and thickness of scars should improve over time. Scar Sheets cushion and protect, relieve itching and pain. Washable and reusable for repeated applications. Scissor-trim to any size or shape. Self-adhesive to stay in place.